Jack White in Montreal or Quebec City? 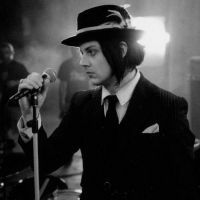 Inform me about the next events for Jack White. Enroll yourself to our priority waiting list for Jack White to be alerted when new tickets are available. Filling this form doesn't engage you to any purchase. Jack White will be in the area shortly! Fans of the latter will have the chance to see him perform on the Laval's Place Bell stage on November 10th and on that of the Videotron Center of Quebec on November 12th, 2018. Please note that cell phones will be banned at these events. Jack White will visit us as part of his Boarding House Reach tour named after the release of his latest album in March 2018. Do not miss Jack White visit in your area and book your tickets today!